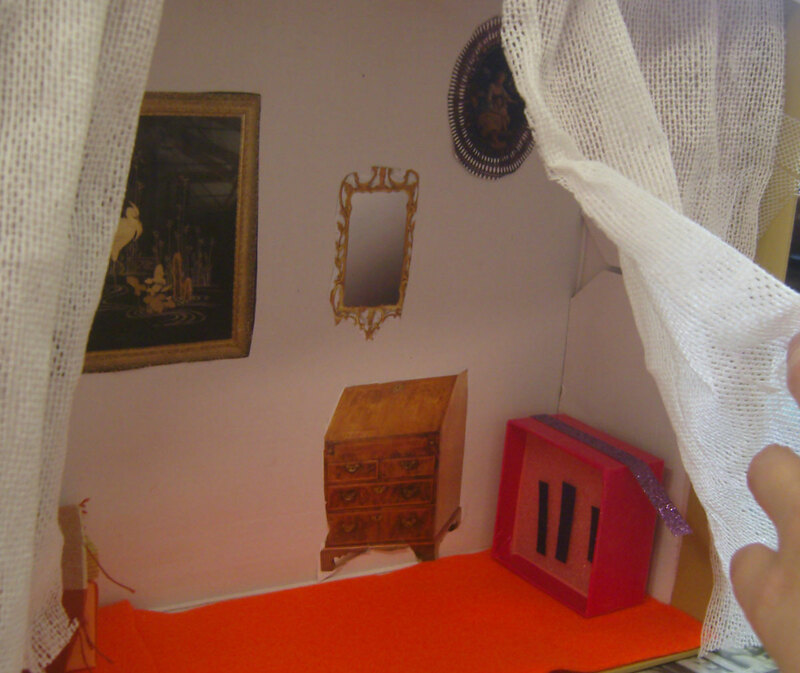 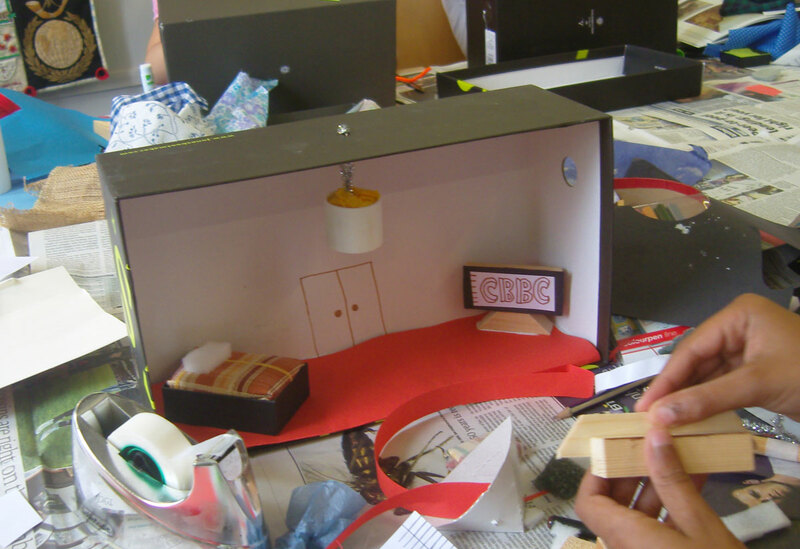 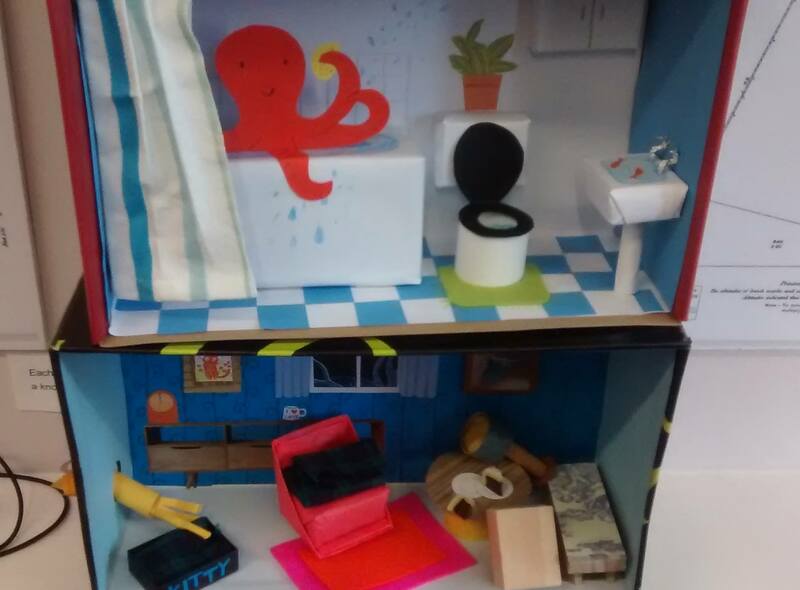 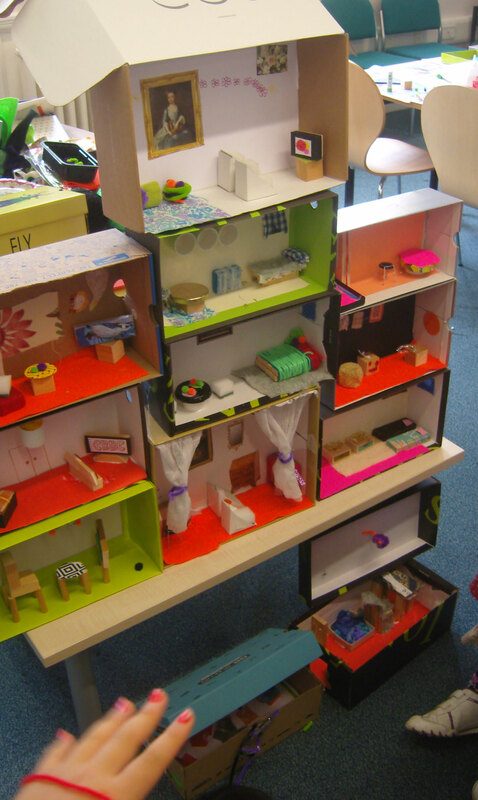 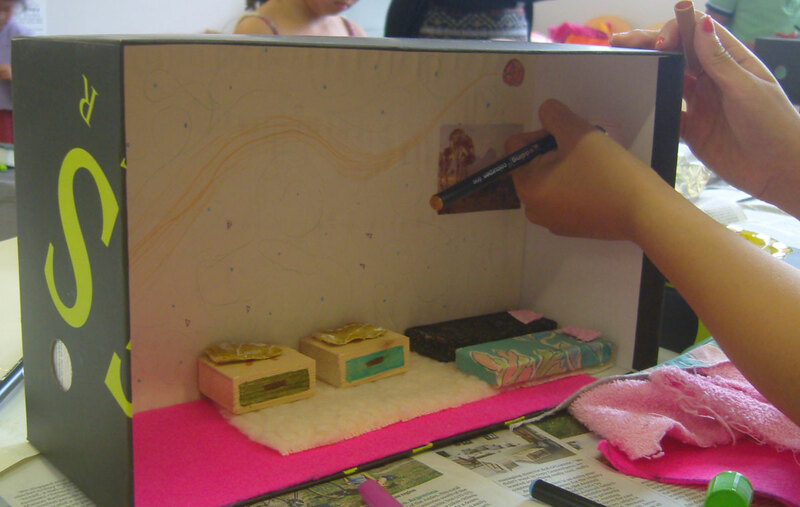 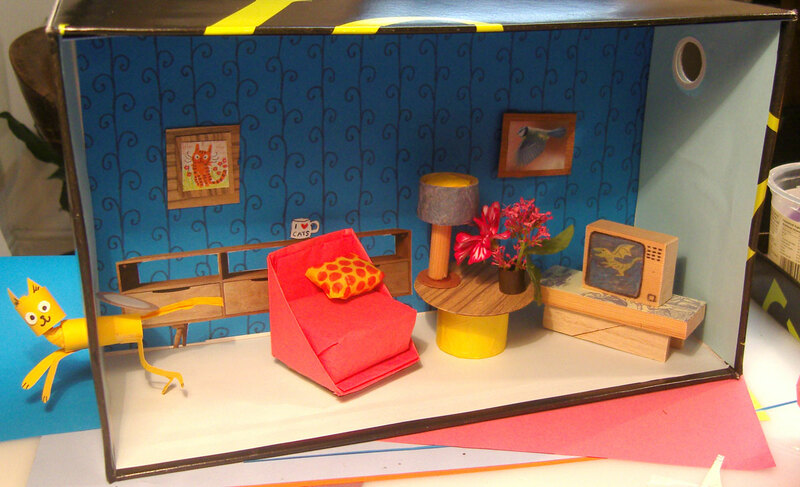 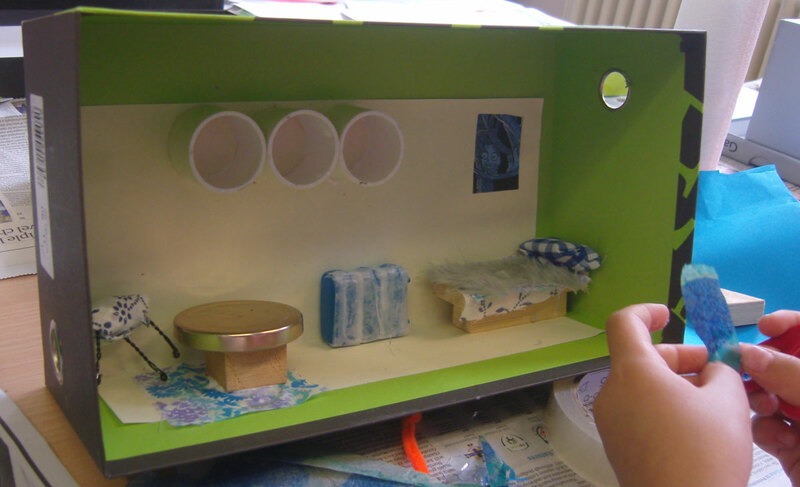 On Tuesday Nicola Killen and I held our fourth and final Art Club and the theme this time was doll’s house rooms from shoe boxes. 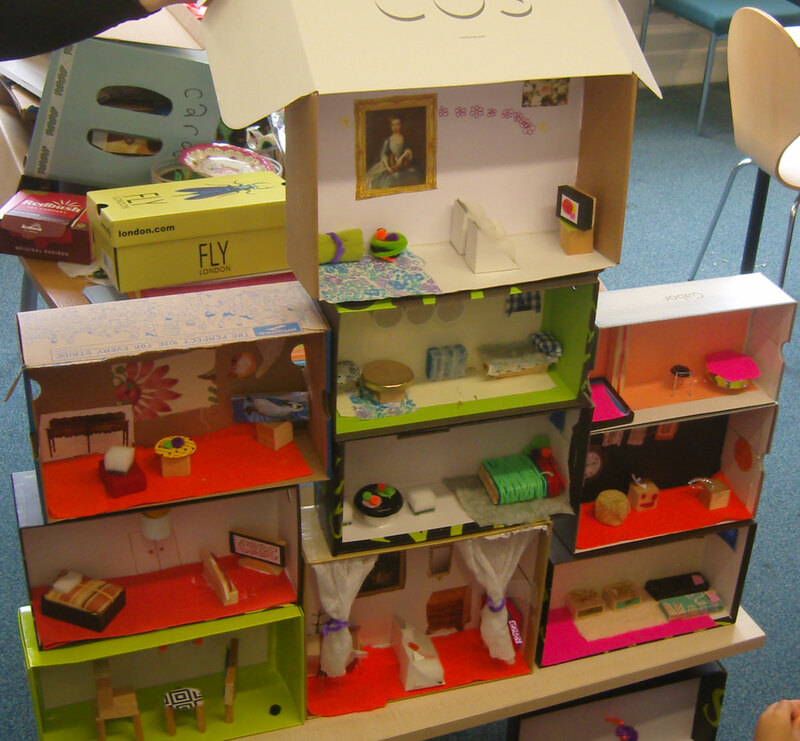 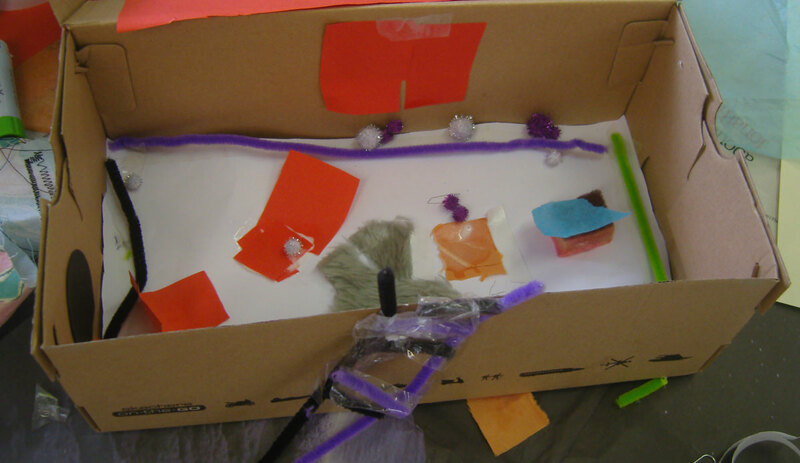 We had a wonderful array of bits and bobs for the children get creative with and at the end of the session we put all their rooms together to make a mansion of a doll’s house! 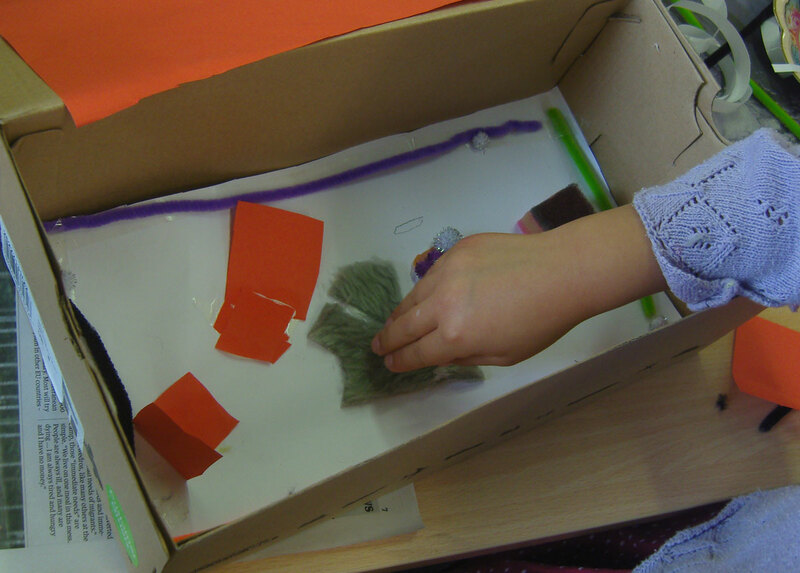 Huge thanks to all those who helped us gather the supplies for this session – both Nicola’s and my parents, Perry and Ian as well as Jones the Bootmakers for supplying all the boxes. 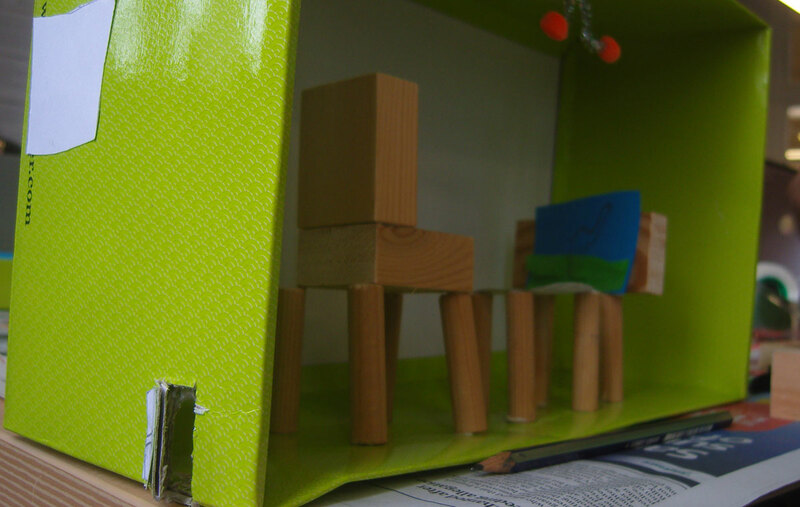 Special thanks go to my Dad who lovingly sawed up and sanded all the blocks of wood that were used to make the tiny furniture. 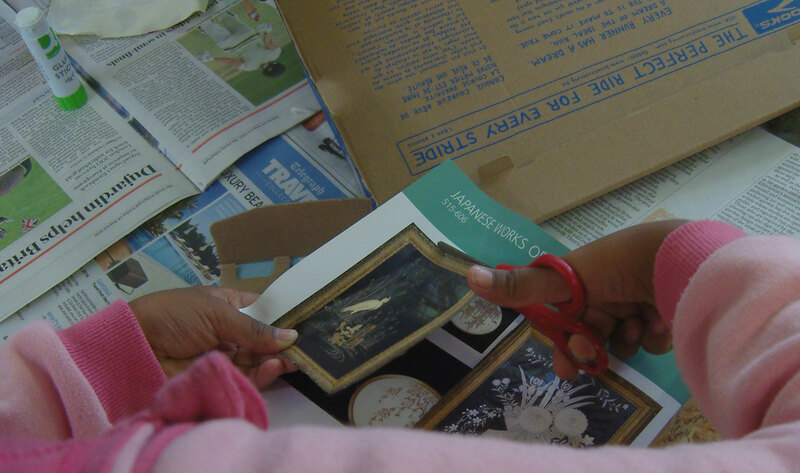 We would also like to thank the wonderful Anne, Pippa, David and Richard from Cambridgeshire libraries for making Art Club happen!